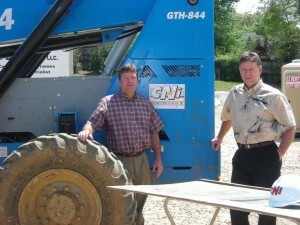 Construction Network, Inc. is an industrial-institutional-commercial construction company based in Jonesboro, AR. The company was founded in 1974, by the current CEO, George Stem. Initially known as Builders of Jonesboro, the company built a strong reputation for quality and efficiency. As the company’s reputation grew, so did the number of clients requesting our services outside the state of Arkansas. In 1997, Builders of Jonesboro took on a new name and broaden our horizons. Since that time, Construction Network, Inc. has achieved growth that companies dream of but seldom realize. Construction Network, Inc. is a General Contractor, licensed in Arkansas, Texas, Louisiana, Missouri, Kansas, Tennessee, Oklahoma, Kentucky, Mississippi, Florida, North Carolina, South Carolina, Alabama and West Virginia. Numerous repeat clients can attest to our devotion in providing our clientele with the best final product for their investment regardless of where that final product may be located. Among the projects completed by CNI, you will find many successful schools, churches, medical facilities, office buildings, banks and much more. On every project we have rigorous goals and policies that our employees live and work by to make our clients’ experience a positive one. We believe that the most impact for your investment dollar is achieved during the planning and pre-construction phases. Working with other design professionals and through the value engineering process, Construction Network, Inc. will assure your money is spent effectively. We pride ourselves in Total Quality Management. No job starts at Construction Network, Inc. without first establishing a checklist of quality control items, unique to that specific job. Our construction process includes scheduling, updates, monthly progress meetings and weekly jobsite meetings with all our subcontractors. With more than 50 years combined experience among our officers and management, you can trust CNI to get it right the first time. Our past success is an indication of future performance.